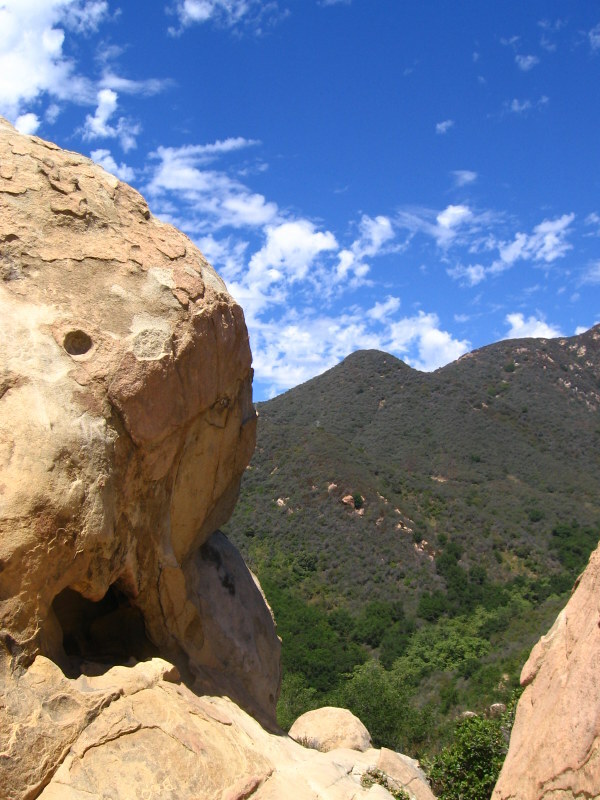 I combined the McMenemy, Saddle Rock, Girard, and Hot Springs trails for a hike on Monday. 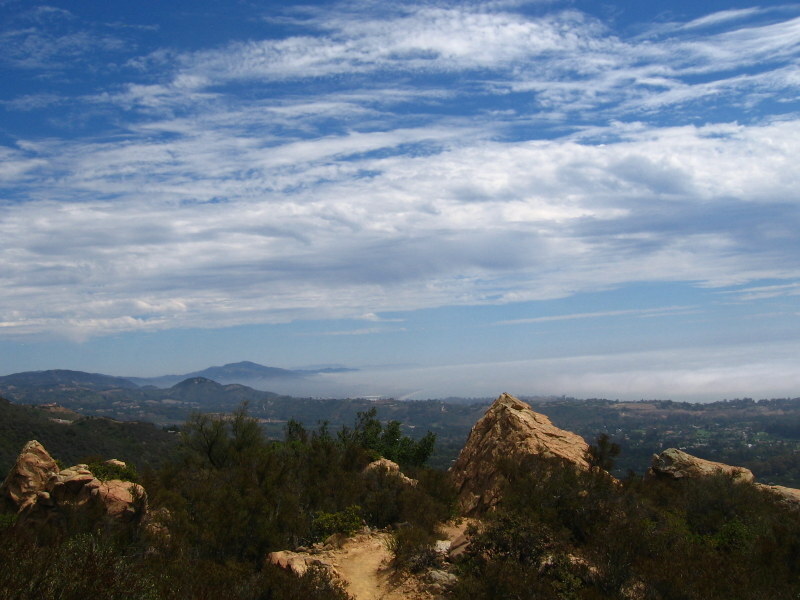 The weather was nice with lots of interesting cloud formations and a constant marine layer hovering above the Pacific helping provide a cool breeze on the south side of the mountains. 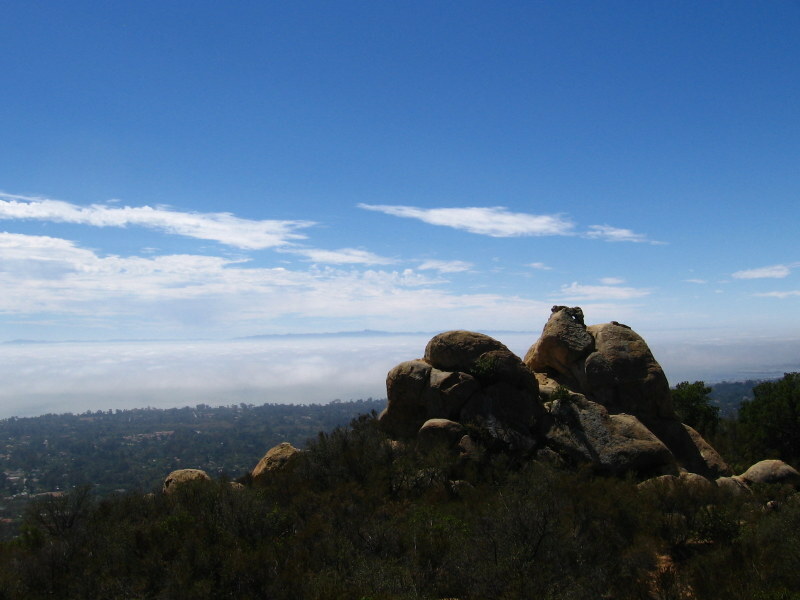 It has been a few years since I hiked much of this area, I almost forgot what a pleasant perch Saddle Rock provides with its unobstructed views of the coast. 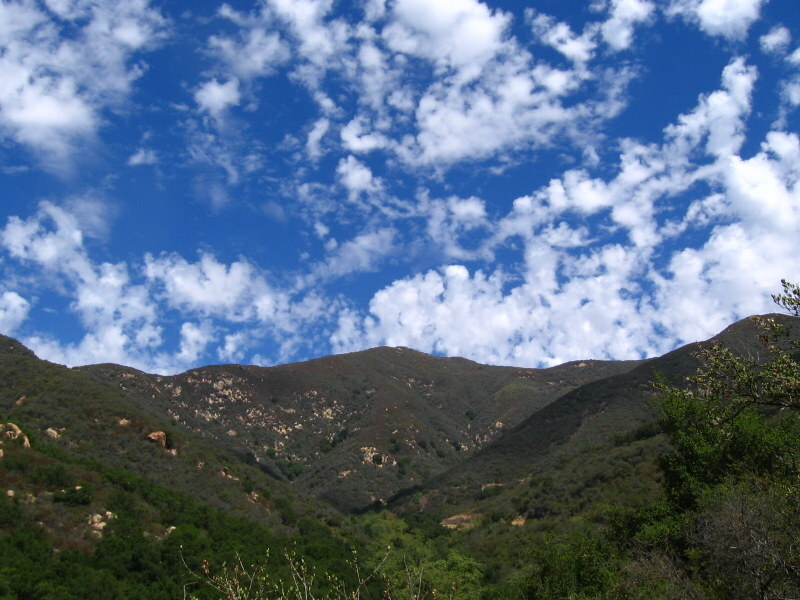 Wispy looking clouds greet the days hike above Hot Springs Canyon. The view southeast from on the Girard Trail. The View northwest from Saddle Rock. Looking down at Saddle Rock from further up on the Saddle Rock Trail. A vista on the Girard Trail with a memorial and a bench. This is just above the junction with the McMenemy Trail. 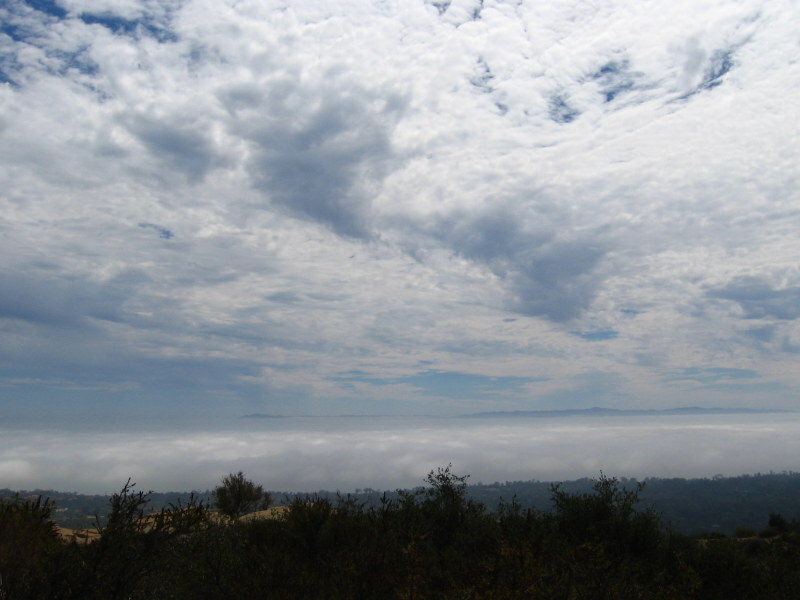 View south from the McMenemy Trail of the marine layer hovering above the Pacific Ocean. 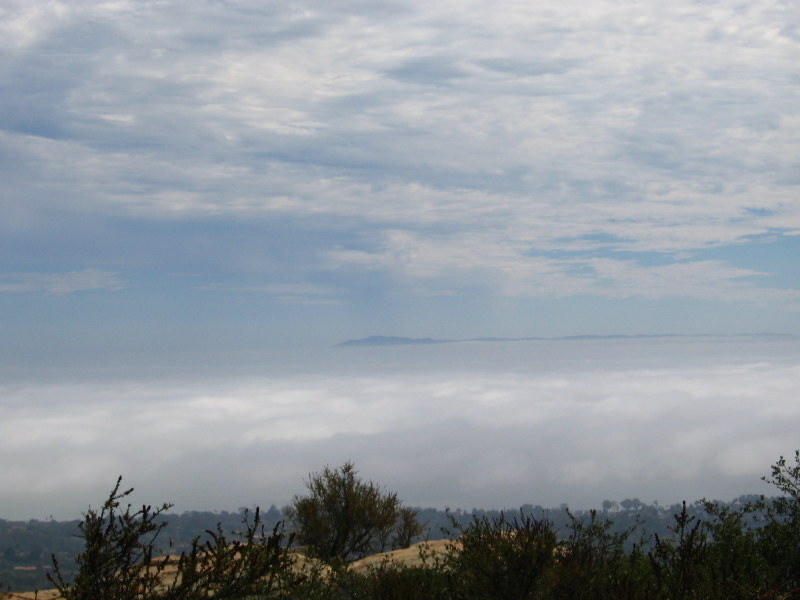 The Channel Islands can be seen here peeking out of the mist. 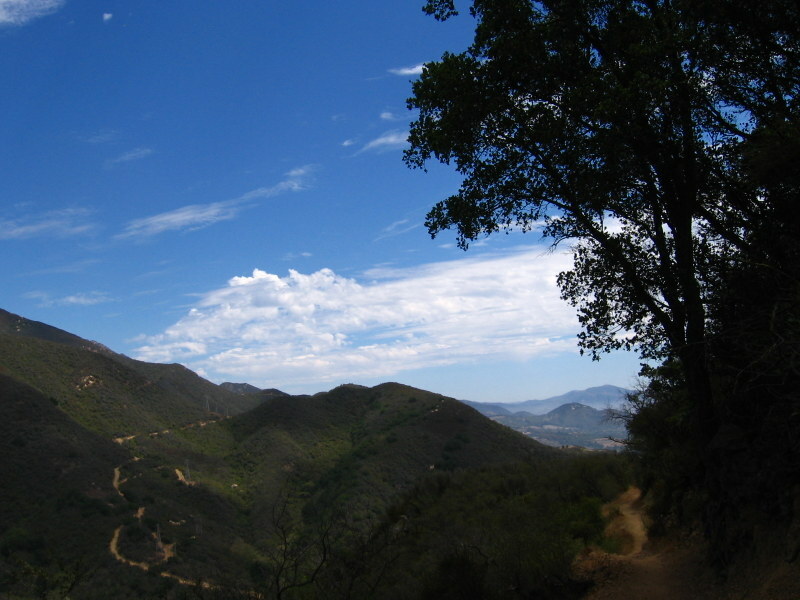 Photo taken from the McMenemy Trail. This entry was posted in Hikerweb on September 6, 2012 by jcammerota.